Members of the Virgin Atlantic Flying Club loyalty programme have joined their counterparts in the British Airways Executive Club in being able to exchange UK supermarket Tesco’s Clubcard Points for airline miles/points. And, until 31st March 2012, members of both programmes can also benefit from conversion bonuses. First, Virgin: the conversion rate has been set at 200 Clubcard Points to 500 Flying Club Miles, so 1 CC Point to 2.5 FC Miles. There are two conversion methods; quarterly manual transfer or an automatic exchange for Flying Club miles which requires an opt-in. Opting-in to the auto-conversion system before 31st March 2012 will generate a 1,000 mile bonus. 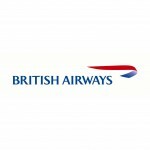 Secondly, British Airways: the conversion rate is 250 Clubcard Points to 600 Avios, so 1:2.4. Again, there are two conversion methods; manual or automatic. All conversions undertaken by the 31st March 2012 will generate an additional bonus of 400 Avios per 250 Clubcard Points converted, so 250 Points will convert to 1,000 Avios. And, for selected Executive Club members who have received a special email, there’s also a 1,000 Avios bonus for opting-in to auto-conversion too. Which is better then, manual or automatic conversions, and Flying Club Miles or Avios? Well, as is so often the case, the answer comes down to personal circumstances and preferences. Stick with manual transfers and there’s that regular administration, but the flexibility to feed both programmes alternately or to favour one or other for a while is retained – or to use your Clubcard Points for something completely different each quarter. Opt-in to automatic conversions to one or other programme and you can sit back, avoid the three-monthly keying-in of voucher codes and watch the miles/Avios flow into your airline account – but if you want to use Clubcard Points for a different reward in future, you’ll have to remember to opt back out again, before a quarter-end. Picking between the airline programmes isn’t as simple as looking at the conversion rates, either; although it appears at first glance that Virgin’s 1:2.5 is healthier than the BA Avios 1:2.4, both programmes allow you to redeem their currencies at different rates and for different rewards. Where you live and where you’re likely to fly on a reward booking will also have a bearing on your decision: if you’re based in the North West or London, Virgin’s Manchester, Heathrow and Gatwick-based route network to the USA, Caribbean, Africa, Hong Kong and Sydney may be appealing. If, however, you live nearer to Aberdeen, Edinburgh, Glasgow or Newcastle, as well as Manchester and London of course, or you don’t always want to fly faraway when you redeem, then British Airways’ domestic connections, shorthaul network and wider longhaul destinations list may tip the balance in their favour. Of course, you’d have to be spending significant amounts on your weekly shop at Tesco for Clubcard to be your sole source of airline miles or points, so the biggest decision-maker in terms of which programme to favour will probably come down to how else you earn that currency. If you already earn more Avios than Flying Club Miles because you fly British Airways more frequently and/or further, then it makes sense to stick with Avios and build your pot to a useful balance – and vice versa. And if you are a super-frequent flyer, then there’s alot to be said for keeping a healthy number of miles and points in a few airline programmes – as it’s sometimes the case that if one airline shows no availability then the other will come up trumps when you want to redeem. Whatever you decide, the best news is that Virgin Flying Club members now have a new way to earn miles open to them, and that both they and BA Executive Club Members can earn more miles and Avios respectively until the end of March. 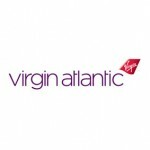 For full details on the Virgin Atlantic Flying Club & Tesco Clubcard promotion, click here. 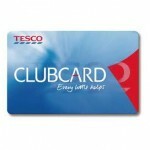 For full details on the British Airways Executive Club Avios & Tesco Clubcard promotion, click here.